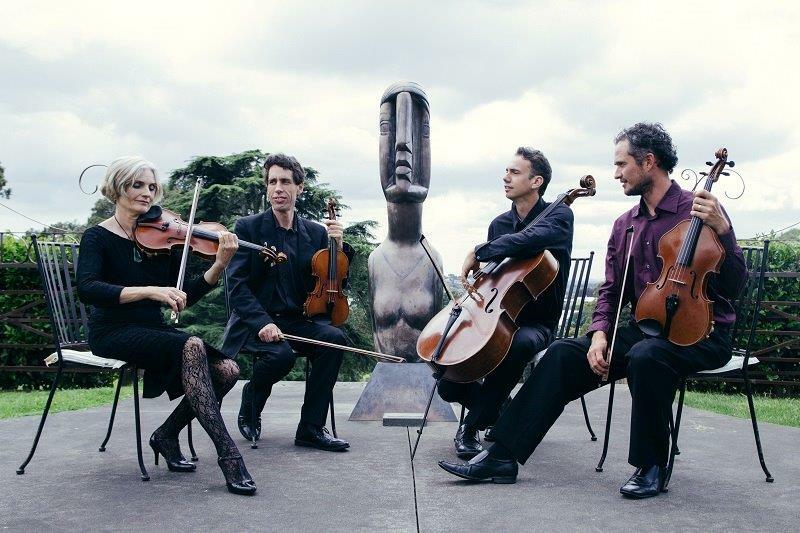 Being one of New Zealand’s most established chamber ensembles and established in 2003, the Jade String Quartet have won the hearts of Kiwis with their exhilarating performances, musical artistry, and dazzling string playing skills. Playing an eclectic mix of music for string quartet ranging from Vivaldi to Hendrix, Jade have won a special place in NZ’s music scene, as a group that can cater for both young and old, traditional and modern tastes alike, all with a musical passion that is rarely seen. They have commissioned and premiered many NZ works by composers including Anthony Ritchie, Chris Adams, Jonathan Besser, with new premieres of works by Ross Harris and Anthony Young planned for 2018. Join them for four concerts in the Sunday Concert Series where each concert will include the work of a female compsoser. All Principal/sub principal players with the Auckland Philharmonia, the Jade String Quartet comprises of Miranda Adams and William Hanfling on violins, Robert Ashworth on viola, and David Garner on cello.